What can adult Jewish learning look like in our community? How can we meet the needs of different learners within our community? And, in this age of easy access to knowledge online, why is it still important to offer robust adult learning opportunities to our community members? We asked Rabbi Rachel Bovitz and Dr. Alisa Braun, co-chairs of the 2016 Summit for Leaders in Adult Jewish Learning, to respond to these questions. Rachel is the chief strategy officer at the Florence Melton School of Adult Jewish Learning and Alisa is the academic director of community engagement at the Jewish Theological Seminary. This quest to find new meaning and to grow as individuals is nurtured through the relationships that develop between teacher and student and among peers. We discuss here how this happens in community-based adult learning and how, in this setting, as the individual adult learner grows, the whole Jewish community flourishes. The internet has made it simpler than ever to seek out Jewish knowledge, placing thousands of years of Jewish law, lore, and literature at our fingertips. But Jewish learning always has been about more than getting answers. As scholar Susan Handelman argues, Jewish learning traditionally was not defined by access to knowledge but rather by the intimate and often revelatory relationship between teacher and student. 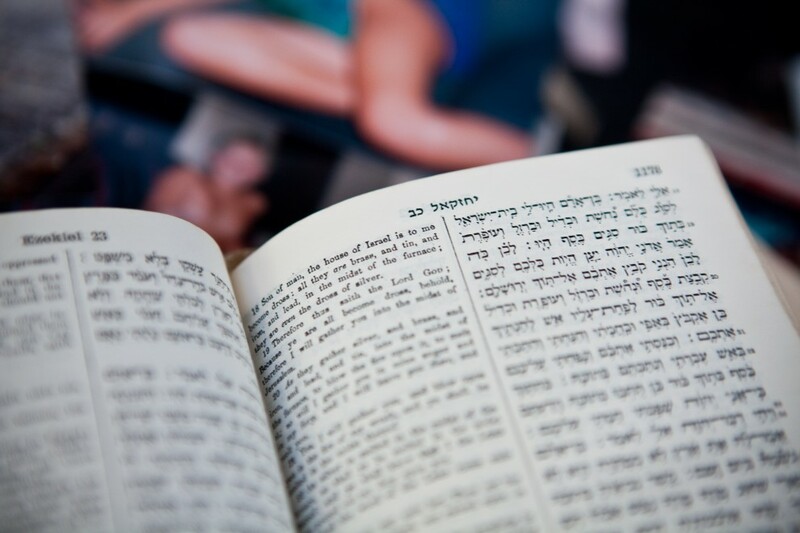 This intimacy is captured in the word Torah itself, which means “instruction,” suggesting that communication, a connection between people, is at the heart of the enterprise. Along with a wealth of life experience, many adult learners have a high degree of secular education and professional achievement. Their Jewish fluency typically does not match this level of accomplishment, creating a situation where adults are highly conscious about what they do not know. The bonds formed between teacher and student can mitigate the emotionally charged nature of adult Jewish learning. When teachers recognize and value the adult learner’s full set of experiences, they can help students integrate new Jewish knowledge into their full selves. And by creating an atmosphere in which vulnerability can be acknowledged, a teacher plays an important role in ensuring that adult learners do not feel shame or disaffected, but rather empowered to strengthen their attachment. In his commentary on the teaching of Yehoshua ben Perachyah, Maimonides makes it clear that the idea of “acquiring” a friend carries a special sense of seriousness and importance. When we “acquire” friends, in Maimonides’ words, “…both individuals desire and focus on a single objective: doing good. Each desires to draw strength from their colleague and to attain this good for them both.” Friendship in this highest form nurtures goodness among friends and ultimately has a wider ripple effect on the world around them. As participants in adult Jewish learning experiences will attest, friendships formed around a table, on a heritage tour, or even those that originate in an online discussion forum create powerful bonds that connect students in ways that transcend the boundaries of the learning setting. When adults go through major life transitions such as retirement or the loss of a loved one, fellow adult learners can offer support and wisdom from common experience while at the same time maintaining a sense of shared purpose in their learning. The learning ensures that these friendships are rooted in openness to new knowledge, deep dialogue, values clarification, and a search for meaning that propels them to think beyond their day-to-day needs. The content and context of adult learning have the powerful potential to make this virtuous practice of positive judgment a reality. Much of the content of Jewish study, whether it is a classic debate between the rabbis found in the Talmudic tradition or a course foregrounding the evolution of Jewish culture and practice, by definition challenges the learner to acknowledge multiple perspectives. Dr. Ruth Calderon suggests, “We learn from the Talmud that disputation makes us smarter. [One should] look for someone who sees something completely different than you do and work together to go deeply into the truth.” To engage in Jewish learning is to reckon with the realization that there is not one obvious truth or one definitive way of being Jewish. Exploring these different perspectives in our texts, both classic and modern, both teaches us how to reason well and encourages a way of being in the world that recognizes change and complexity. This is a stance of openness and curiosity toward new ideas and people who see things differently. In terms of context, the American philosopher Richard Rorty wrote that conversation moves us toward greater inclusiveness and less judgment by extending “our sense of ‘we’ to people whom we have previously thought of as ‘they.’” Indeed, community-based adult Jewish learning can create an atmosphere where people feel invited to participate, invested in one another’s development (not in just their own) and come to appreciate diverse viewpoints. And as most learners come to understand, the more we learn, the more we recognize how little we know. This humility, mutuality, and curiosity are the very same qualities that are at the heart of judging others favorably. We do not guarantee that every adult Jewish learner becomes more open-minded and less judgmental, but the enterprise of community-based adult Jewish learning is one that promotes the key values that should lead to this outcome. The rabbis of the Talmud (Brachot 28b) speak of a prayer of thanksgiving we are to recite before leaving a house of study. The prayer expresses gratitude for the opportunity to be with others who have studied alongside us, recognizing that we have a shared interest in learning and that such learning keeps us from “frivolous talk.” We live in a time where the tenor of political debate, within and outside the Jewish community, has become increasingly divisive. Too often, discussions devolve into personal attacks; it’s much easier to point to another person as the problem than to grapple with the complexity of an important issue. Pluralistic learning communities that invite multiple voices to participate in respectful but also deep dialogue, that focus on learning to listen and to understand the views of others, model a type of conversation that can increase the constructiveness of our broader communal discussions. We are enjoying a golden age of adult Jewish learning programs, local and (inter)national, immersive and episodic, in-person and online, covering topics both religious and cultural. But these options can be dizzying. Together with colleagues such as local rabbis and educators, you can develop a communal resource list of adult learning opportunities so individuals can identify Jewish learning that fits their schedules, interests, and motivations. Adult Jewish learning as a catalyst for strong communities depends on teachers who are skilled creating environments where mutuality, appreciation, humility, and attentiveness are paramount. It is to our benefit to invest in the ongoing development of educators so that they can hone their skills in teaching adults and responding to their evolving needs. Adult learning organizations like Kevah and the Florence Melton School focus on training educators in the art and science of teaching adults. Experts in andragogy, the art of teaching adults — from academic institutions like Hebrew College, the Jewish Theological Seminary, the Mayberg Center for Jewish Education and Leadership at George Washington University, and Hebrew Union College — also can be consulted. Learning can be a gateway for a community’s diverse population to feel empowered and valued. As we witness the contours of our community changing, specifically through the rise in interfaith relationships and families, we should prioritize adult Jewish learning as a tool for creating inclusive communities. While introductory programs offered through local synagogues can be a good entry point, a growing number of ways are available for Jews and their non-Jewish family members to continue to learn together, e.g. Miller Introduction to Judaism’s “Two Faiths/One Family,” Chai Mitzvah groups, Mayyim Hayyim’s “Now What?” Post-Conversion Program, and InterfaithFamily’s online resources. Lisa D. Grant & Diane Tickton Schuster, “The Impact of Adult Jewish Learning in Today’s Jewish Community” in A Report to the UJC Renaissance and Renewal Pillar, 2003. Make for Yourself A Teacher: Rabbinic Tales of Mentors and Disciples. (Seattle: U Washington Press, 2011) 4. Open Minds, Devoted Hearts: Portraits of Adult Religious Educators (Eugene OR: Pickwick, 2015) 51. “Teaching and Deed,” The Martin Buber Reader: Essential Writings, ed. Asher Biemann. (New York: Palgrave Macmillan) 234.